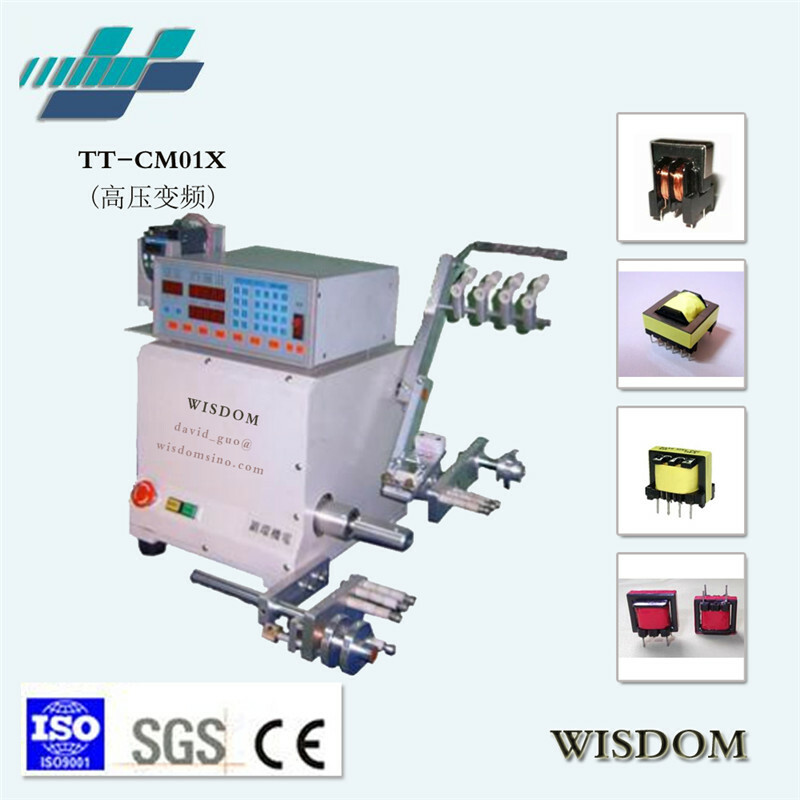 this machine is the model of volume production in our company and is the best type for winding high-frequency transformer coils. • Adopts AC variable frequency with microcomputer controller, the data is easy to be set. • The start position of winding can be inputted by means of instruction; moreover the current position of wire arranging spool can be displayed. • Acquire foot switch device, ensure the production operations to be fast and easy. • Able to set the start winding position, width, wire spacing, speed, etc by section, so as to achieve the goal of multi-speed in multi-sections.